Recently a peculiar and somewhat ominous cloud formation shocked the Portuguese natives appearing over the island of Madeira. The burning cloud looked just like a giant clenched fist. Rogerio Pacheco a weather blogger was the one who spotted the cloud formation. After taking several pictures of the phenomena it quickly became popular online. 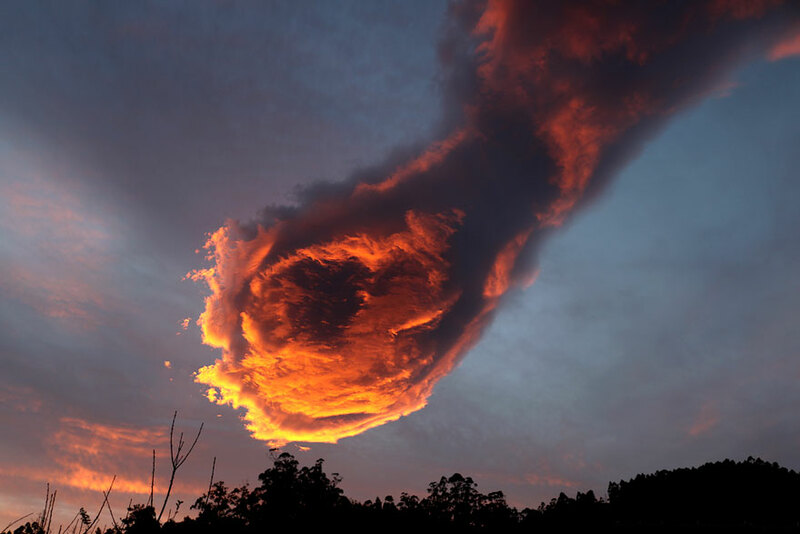 People invented compared the cloud to a flying comet or a burning fest hence its name came to appear “The Hand of God”. And indeed this is a very intimidating cloud to observe from beneath!